If you see someone on fire, do what I do; aim for the head. ...Or was that zombies. Meh, same difference. 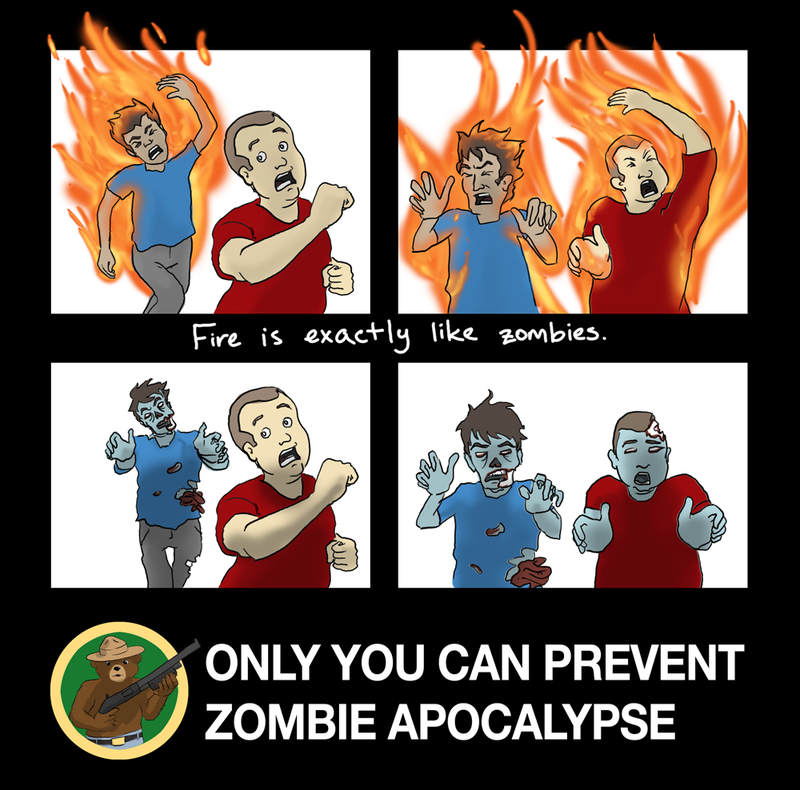 When you compare fire to zombies, they're quite similar. They're both kind of slow, the transfer through contact, and if either gangs up on you, you're pretty much cooked. Oh, and they're both ravenously hungry for brain. Zombies extra frightening because they take all of our deeply instinctual fear of fire and put it firmly at the deepest, scariest ravine of the uncanny valley. If you follow the above link to the Uncanny Valley article, you'll even see zombies on their diagram.